I love summers! Both Vanessa and Santiago were born in the summer (and so was I, even though I was born in February, since Peru is in the southern hemisphere) which means two birthday parties for us! 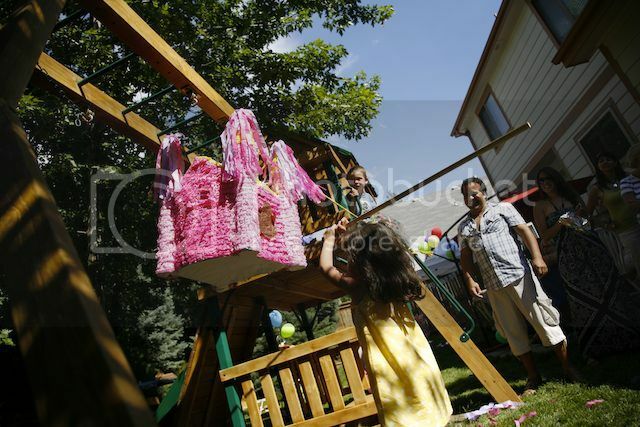 As I mentioned last week, we celebrated my daughter’s 5th party in our backyard last Sunday. I’m not going to lie and say these are easy because they are actually a TON of work. And, even though, it’s basically non-stop from the moment we wake up the day of a birthday party and it all feels like a whirlwind once it’s said and done, I wouldn’t have it any other way. 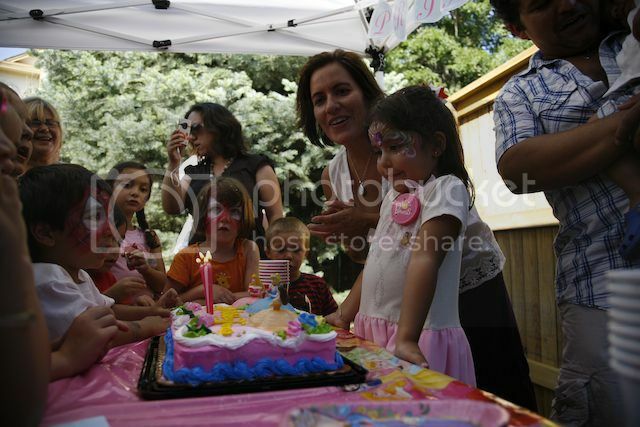 Vanessa was very specific about what she wanted for this birthday party: PRINCESAS! Luckily, it was easy to oblige. (Unlike two years ago when she wanted a Toy Story birthday – before movie #3 came out – and I had such a hard time finding decorations and such). 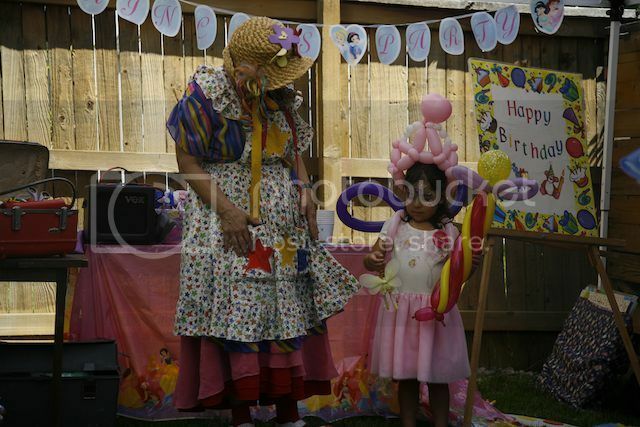 My little princess was also very clear about the fact that she wanted a clown who painted faces as entertainment. I was hoping I’d be able to get a bilingual or Spanish speaking one, but then Vanessa was also very assertive as to the guest list and she asked to invite her friends from preK, all of which are monolingual, making my life that much easier (there’s a lot more English-speaking clowns!). However, this also meant inviting kids (and their parents) who most probably had never experienced a bicultural birthday celebration. I really didn’t worry too much about this because it’s not like our parties are that different… But then, as 1:10 p.m. turned into 1:20 p.m. and the only guests were Vanessa’s friend from preK and her mom – the original invite was for 1 p.m. – it dawned on me that bicultural birthday parties can be very different. In fact, the clown – whom I had asked to come 30 minutes after the (supposed) start of the party – had to switch things around when she realized there weren’t enough children at the party for her to do her show at the beginning and opted for painting the faces of those in attendance instead. It all worked out in the end, but I guess punctuality is not one of those things most Latinos are known for. Our kids’ birthday parties are not just for the little ones. For us, it’s a celebration of a loved one’s life and besides making sure the children are having fun, we ensure the adults are having a good time too. Translation = there’s lots of food and drinks for all. 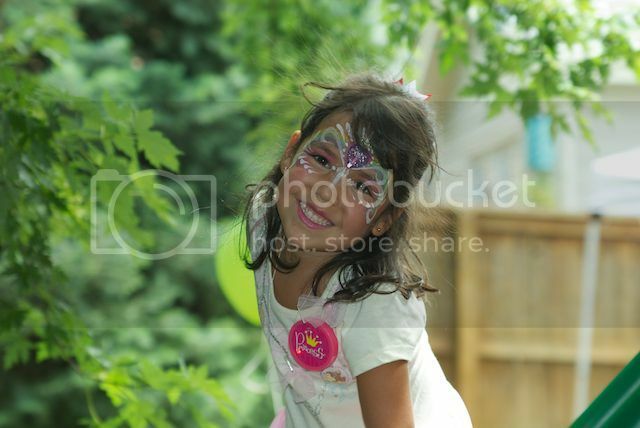 Our birthday parties are also loud, lively, festive and musical. I wasn’t sure how much the mom of Vanessa’s friend from preK had been exposed to this craziness, so I found myself kind of apologizing for it, even though she seemed to be having fun soaking it all in. My mom had promised she’d make her famous Pisco Sours to please one of my Peruvian friends. And so while the kids were busy laughing at the clown’s antics, we were all busy cheering my mom’s masterpiece! By this time, it was way after 4 p.m. (the supposed end of the party – although I’ve never understood this American practice) and we still had to cut the cake, sing all the versions of the “birthday song” representing all of my household’s cultures, and let the kids whack the ginormous piñata Vanessa had chosen. Needless to say, by the time it was all said and done it was about 10 p.m. Not everyone stayed that late, of course, but the last guests probably left after 9 p.m. There was a second round of food put on the grill and plenty of drinks for everyone! The only bad thing about it was that we all had to go to work the next morning! The next day I got an email from the mother of Vanessa’s preK friend thanking me for such a wonderful party and explaining how her daughter was still talking about her first piñata party and how much fun she’d had. I couldn’t help but think that all the work was absolutely worth it! 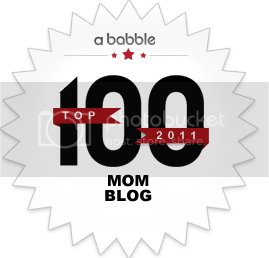 We’re going to spend all week talking about this topic with guests posts from a varied group of amazing moms (and amigas!) 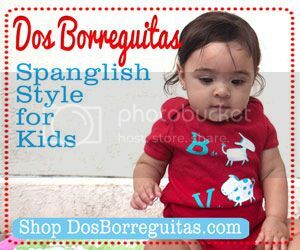 raising bicultural and bilingual children. 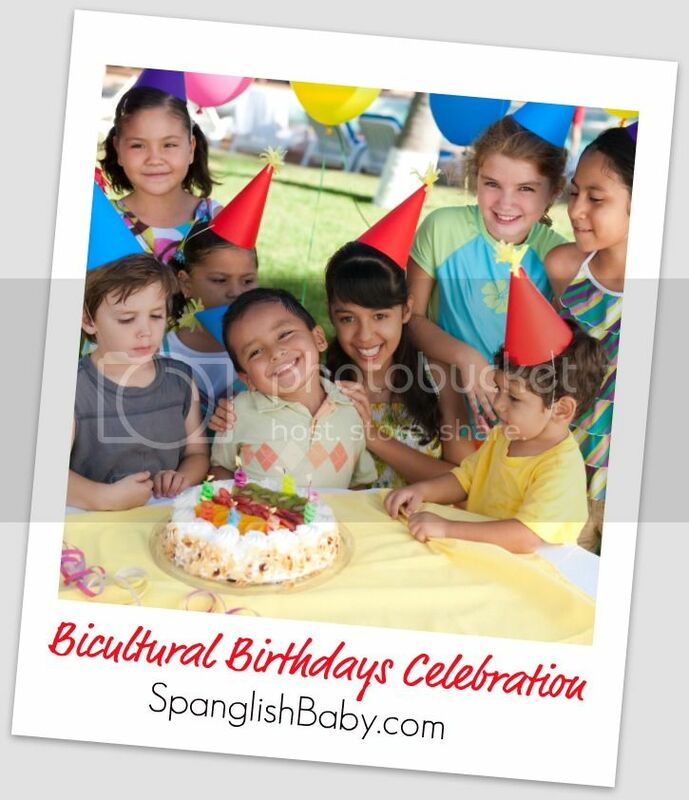 You’ll probably identify with at least one of these essays and if not, we’d love to hear your own story about bicultural birthdays! And, because no birthday would be a real celebration without regalitos, don’t miss out on the big giveaways we’ll have going on all week in honor of cumpleaños Latino-style! ¡Qué lo disfruten! Share: What are the special traditions in your birthday celebrations? LOL! I can soooooooo relate!!! For our son’s 1st birthday party, I told my husband’s side of the family to come around 12, thinking maybe they’d be there by 3 (they arrived at 5:30). What I chiefly remember about that party is that nothing really happened how I’d envisioned, many of the guests were gone before we did the cake because we were waiting for the Tios, and the piñata was a flop because where I’m from they come from the store pre-loaded with candy, but the ones here are sold empty, so yes you guessed it, the kids broke open an empty piñata. When he turned 2 — I simply chickened out and didn’t have a party. For his 3rd birthday, I thought maybe printed invitations with a specific time would help. We made the invitations ourselves on the computer and included our son’s photo on it, addressed each one with the children’s names, stickers and drawings on the envelope, and hand delivered the invitations to their homes (not relying on anyone checking their mail). I think this approach worked, because most people did arrive within about 2 hours after the time on the invitation. The menu required some planning. I did not want to be stuck in the kitchen. My husband got his sister and a cousin to do chicken mole with some mole paste that he had his mom send up from their hometown, which turned out incredible — and it’s something that can simmer on the stove all afternoon/evening until whenever people show up. People who were from there enjoyed a taste of home and people who weren’t, I think enjoyed tasting some unique, very regional food (it’s not like mole you would get in a restaurant). Bonus: I was off the hook for preparing this since I know NOTHING about it! I did the side dishes, all things that could be prepared ahead to sit in the fridge and just assemble them at serving, and you know what, home-made traditional-USA cole slaw went great with mole. I made beans, rice and a couple of other side dishes in such a way so the vegans & vegetarians on “my” side could have something good to eat too. I decided a “theme” birthday party with matching table cloth, plates, banners etc. was just not happening. Mostly due to expense but also for my sanity. I did buy a 99-cent plastic tablecloth with Thomas the Train which he likes. Everything else was home-made (but not by me!) We recruited a few older kids to be there early and decorate with streamers & balloons — I got big packages of several hundred balloons and a few dozen streamers, and only gave them a few, putting the rest in a closet to save for future years– this is lots cheaper. Also they cut out the letters of the birthday boy’s name from pieces of construction paper and put up on the walls. One sister-in-law took charge of filling up the party-favor bags. My other sister-in-law took over setting up tables, chairs, etc. That was great. They did come early (not at a specific time, but early enough) when they were told they were helping with a certain task and knew we were counting on them. My husband did a pretty good job of keeping himself clear so that he could be dispatched on all the last-minute things. After all the preparation beforehand… it’s just surfing the wave. Piñatas were done at some point, barely before dark but it got done, and this year, I had put candy in there ahead of time! Our best inspiration was buying some cheap blow-up pools & water toys, turning on the sprinkler and telling the kids to bring a change of clothes. It was literally 102 degrees in our yard that day, so playing in water was ABSOLUTELY wonderful!!! I also think it made everything a bit more relaxed– no fussy party dress. We also bought a few cheap fans to set up near the tables where the adults would be sitting (in the shade!). This was a little bit of investment out of our budget but this stuff will be brought out again year after year since his birthday will always be in Houston in June! It was a great turnout and I think everyone had fun, most especially the birthday boy. You really can’t beat the party spirit with these folks! P.S. Forgot to mention– the invitations we made on the computer were in two versions! The Spanish version simply stated a start time for the party. The English version stated “3:00 to ?? ?” to give the idea this could go ’til late… and we also specified on the English version that we would be serving dinner. We have a party for our son Niko in the park every summer. This year he invited all the kids in his class, as well as his friends from his Saturday classes at Escuela Argentina. Family and friends came – along with a delicious mix of Spanish and English. Arrival times of the partygoers varied drastically, with some arriving at 10:45 am (for an 11am start time), and others coming right at 2pm (for a 2pm end time!!). We had bagels and pizza, and a pinata for good measure. Fantastico! 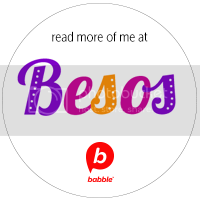 I hope there are still more posts to come… I have absolutely loved the bicultural birthdays. I love learning the carols vocabulary, songs and traditions that vary from country to country. Both my daughter and I will celebrate our birthdays at the end of August. All these posts from all over have been very inspiring. A piñata at least for our celebration, no? !